Lock in a great price for Apartament Maria – rated 9.6 by recent guests! 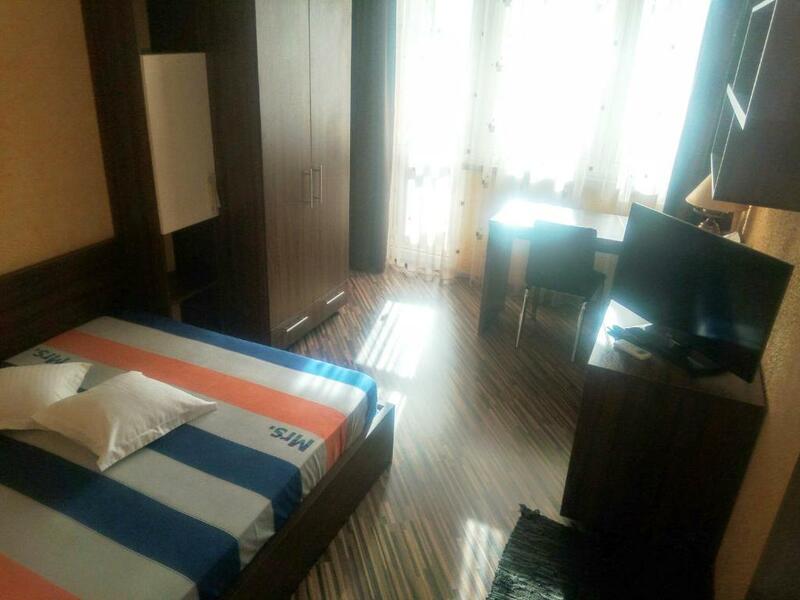 Located in Bucharest, a 19-minute walk from National Stadium - National Arena and 2 miles from Bucharest National Theater TNB, Apartament Maria offers a garden and air conditioning. This property has free WiFi. The apartment consists of 3 separate bedrooms, 1 bathroom, and a seating area. The kitchen has an oven and a microwave, as well as a coffee machine. Speaking English and Italian, staff are always on hand to help at the 24-hour front desk. Alexandru Ioan Cuza Park is 2.1 miles from the apartment. Sector 2 is a great choice for travelers interested in museums, sightseeing and architecture. This property also has one of the top-rated locations in Bucharest! Guests are happier about it compared to other properties in the area. This property is also rated for the best value in Bucharest! Guests are getting more for their money when compared to other properties in this city. When would you like to stay at Apartament Maria? This apartment has a stovetop, oven and air conditioning. Maria Apartment is an intimate, elegant, pleasantly decorated location, features two bedrooms with large beds and a living room with a corner sofa, a library and a common area. Apartment Maria has its own bathroom, kitchen, balcony and is ideal for accommodating tourists or families with children. Renting this apartment can be attractive for couples or individuals or for tourists attending sports events or concerts or cultural events, as well as business conferences. 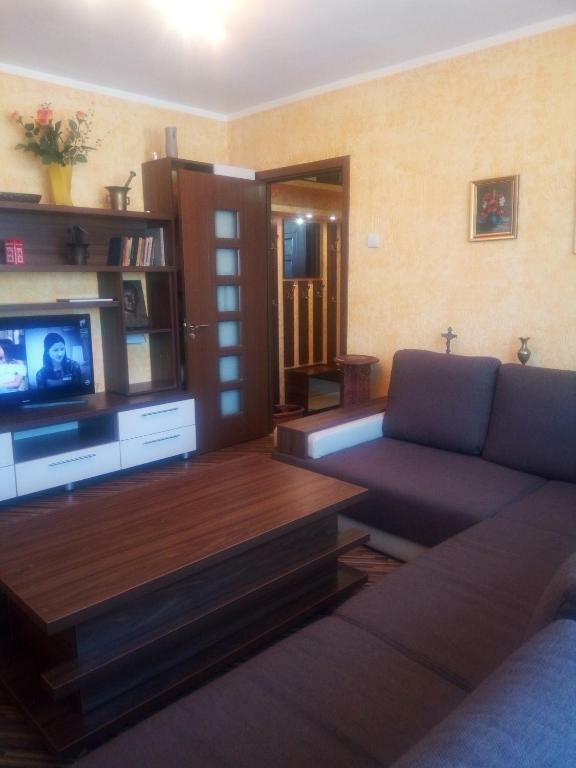 Situated in the heart of the city center, very close to the National Arena, the Mega Mall, the Historic Center or the Romanian Peasant Museum or the University, Maria Apartment has easy access to the means of transport. The tram and trolley stations are at the exit of the building and a few steps away is the subway station. Victor Babes Hospital, Monza Hospital, and other private clinics of plastic or other surgery are also nearby, and private courses are also very close to each other, which makes ideal the Maria Suite and for those arriving for different treatments or graduating from studies or courses. This business hotel business has been developing for a few years, trying to provide superior quality services in comparison and in competition with other bidders of this type of accommodation. I try to offer accommodation in my places, those interested, a different way than the one offered by the classic hotel. The apartments that I own and administer, that is Apartment Sonia, Apartment Dana, Apartment Maria, are offered for rent to new tourists but also to loyal clients becoming friends. I want to give my clients a pleasant stay and I am pleased when the tourists arriving at my apartments are excited about the stays here. I am also pleased when people return for another holiday at the same location. Most tourists appreciate the comfort of staying in my apartments as being superior in comparison with other locations visited by them. Iancului Square and Vatra Luminoasa area, is Bucharest's best-rated perimeter in terms of hotel accommodation. The area is close to all the goals of any kind that a client wants to visit. Also Iancului neighborhood is easily accessible from any direction, with any means of transport or pedestrian has bars, restaurants, spas, tennis courts, soccer fields, swimming pools, meeting halls specialized courses in the vicinity. It is inhabited by civilized persons of medium level plus, it has recreational parks, it is a green area, and safe for tourists who visit Romania for the first time. The apartments offered for rent, located here, meaning Apartment Dana Apartment Maria and Apartment Sonia views in front and behind the building, also have input street locations and the area was quiet character is close to major shopping centers. Also in the area, there are small shops diversified in profile, on the ground floor of neighboring buildings, and there are many nightclubs and in the vicinity there are street parking lots free of charge. House Rules Apartament Maria takes special requests – add in the next step! Please note that this property has a strict no-party policy. There is a transfer to and from the airport for up to 4 people. Please inform the property in advance if you want to use the service. Please inform Apartament Maria of your expected arrival time in advance. You can use the Special Requests box when booking, or contact the property directly using the contact details in your confirmation. One of the most picturesque neighborhoods in Bucharest! Great apartment - super clean, well-organized with a very helpful host! Everything was amazing and we will definitely book this apartment everytime we visit Bucharest. It was very clean, very comfortable and the host was amazing. Thank you! National Museum of Natural History "Grigore Antipa"